"Dearest Mom, It doesn't seem possible that a month has..."
"Mom, Words will never express what you mean to me or the..."
"So very sorry to hear of Liz's passing, our thoughts and..."
"David and Family:: Very sorry to read about your tremendous..."
GORHAM - Elizabeth J. "Liz" Kearns, 68, of Gorham passed away peacefully at Gosnell Memorial Hospice House in Scarborough on Sept. 12, 2018, after a brief illness. Born on Sept. 25, 1949, in Portland, she was the daughter of William Calvert, Jr. and Katherine Burke. Liz grew up in Portland and attended Cathedral School. Shortly after graduating in 1967, she joined Dan T. Haley Agency, a family owned insurance company, as office manager and later moved into the role of managing the agency's commercial lines business. She faced many challenges but persevered with her fiery personality and uncanny ability to get the job done at any cost. She gained the love, respect, and appreciation of her colleagues and clients before retiring with more than 40 years with the agency. She had many interests that she enjoyed. Traditional visits to Ken's Place in the summer were never missed, the newest James Patterson novel was always purchased, and you could often find her in the kitchen making fried dough or Italian pizzelle cookies for her family. She enjoyed trips to play bingo with her daughters, friends and siblings and especially loved her frequent visits to the casino with her daughter Jennifer, friend Darlene, and sister Mary. Liz's deepest and most rewarding passion was the love she had for her family and friends. She said, "My family, especially my girls, are my biggest accomplishment." She married the love of her life, David M. Kearns, on Jan. 29, 1972, and they settled in Gorham where they raised their three daughters; Amy, Jennifer, and Courtney. 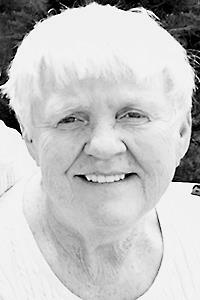 She believed in giving back and did so by participating in many town-related events such as the Guns n' Hoses golf tournament, Patriot's Day race, and Gorham's 250th celebration. Perhaps the dearest to her heart was becoming a volunteer member of Gorham Rescue. Liz was predeceased by her parents, Katherine and William Calvert, Jr.; sisters Theresa Durst and Barbara Wildes; and granddaughter Lydia Beaucage. She is survived by her husband, David Kearns of Gorham; daughter Amy Kearns and David Putnam of Biddeford, daughter Jennifer Beaucage and husband Leo of Gorham, daughter Courtney Fairbanks and husband Jesse of South Portland; grandchildren Jacob, Cameron, Kaleigh, Samuel and Patrick; siblings Patricia Calvert of Westbrook, William Calvert, III and Marie Calvert of Steep Falls, and Mary Ayotte and Lew Ayotte of Saco; best friends Gordon and Darlene Junkins of Gorham; as well as several nieces, nephews; cousins; great nieces and great nephews. Visiting hours will be held on Friday, Sept. 21, 2018 from 4:00 p.m. to 7:00 p.m. at Dolby, Blais and Segee funeral home located at 434 River Rd., Windham. A memorial service will be held on Saturday, Sept. 22, 2018 at 10:00 a.m. in the same location. Please visit www.dolbyblaissegee.com to view Liz's tribute page and to sign her online guestbook.